The Giveaway Goes To . 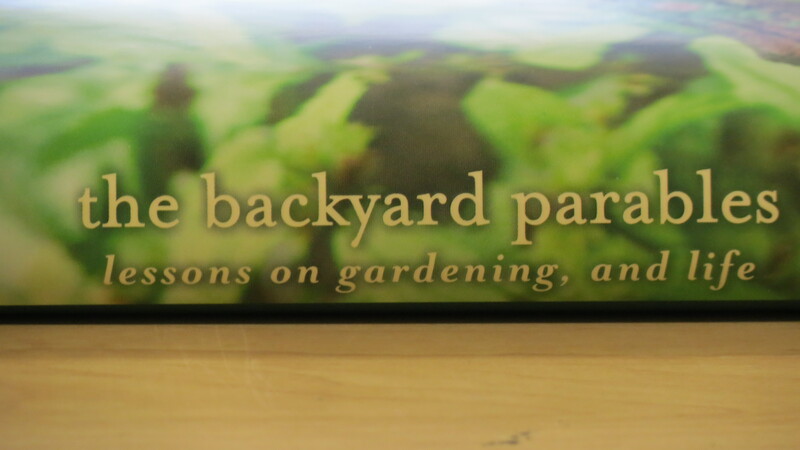 . .
At last, we have arrived at the big reveal — the announcement of the winner of Margaret Roach’s most excellent book, The Backyard Parables. So without any further delay, the book goes to . . .
Now did you really think I would jump right in with the winner’s name? 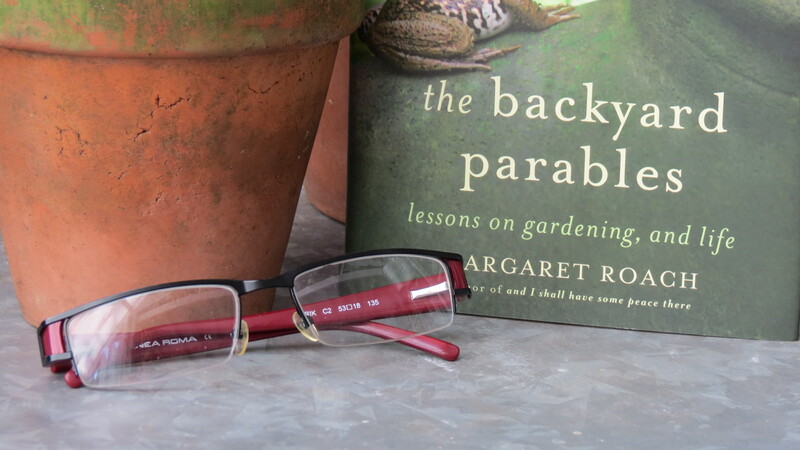 Not only am I nitty and gritty, I’m also wordy — and a post just wouldn’t be complete unless I added a few hundred words of my own (as well as a few photos, each one dedicated to a season in my garden in honor of the chapters in Parables). Parable is one of those Old — no, make that Ancient World words. Just saying it conjures up an image of a toga-ed philosopher sitting on the steps of the Parthenon, eager and inquisitive students kneeling and sitting and catching each one of his words. Margaret Roach. For years it was just a name, one that I had seen in the masthead or the editorial pages of Martha Stewart Living. Occasionally, it appeared at the bottom of the television as I watched Martha’s show, an identifier of the woman sitting next to the host. Yes, Margaret Roach was just a name. 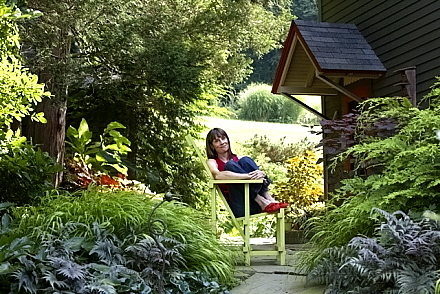 When I started this blog, I also learned of the top gardening blog in America, A Way to Garden — and once again, I was staring at that same name: Margaret Roach. Maybe, I thought, there was a reason her name kept entering my world — and maybe, it was time to discover if there was more to Margaret than a name. 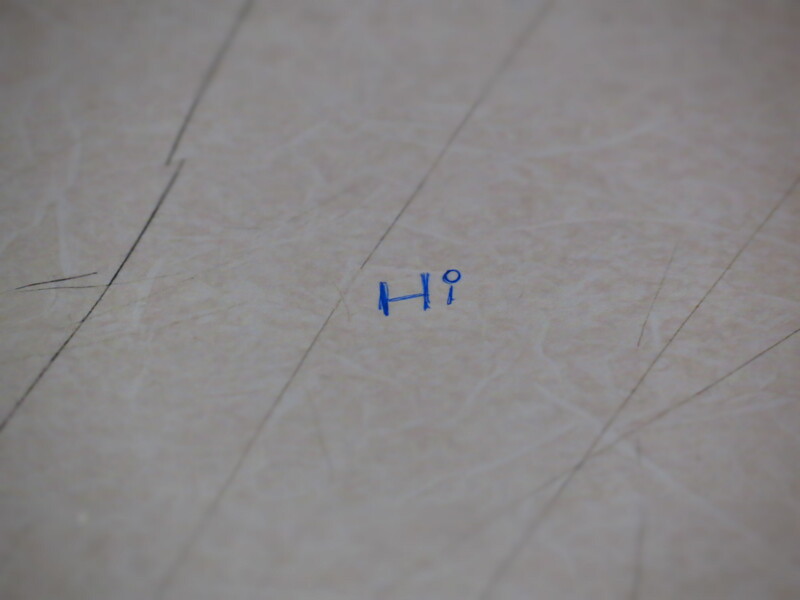 When I was in high school and sitting in math class, I noticed that someone who had class in the same room during another period — most likely a girl because of the large rounded, bubbly print — had written two letters on the desk: Hi. So I wrote back — and soon, our shared desktop was covered with a conversation. Then, one day, she wrote her name: Kim. My friends, adolescent testosterone and nerd-ness surging through their bodies, were jealous and full of fantastical ideas. “What do you mean you don’t know who Kim is?” one of them asked — and he then proceeded to fill me in on the deeds, the actions, the beauty, and the popularity of the notorious Kim. The forecasters have predicted all week about spring-like temperatures this weekend. So when Saturday morning arrived, I jumped out of bed like a kid eager to hear news that school was closed for a snow day. I know mild January temperatures are out of the ordinary — unless this is the new ordinary — but I had big plans for this weekend, even if it was just some basic tidying up of fallen twigs and leaves. Imagine my surprise, though, when I looked outside and saw nothing but gray and wet. 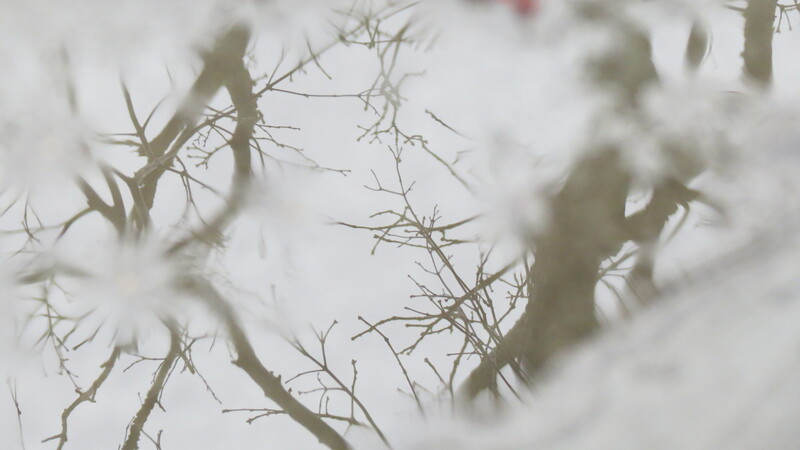 I don’t know if the forecasters neglected to mention rain with the spring-like temps or if I just stopped listening to the forecast when I heard spring. In any event, I decided to make the best of it — because when life gives you rain on your garden, grab a camera and take some pictures.